Theme #2: Biodiversity in the historically evolved socio-ecological systems (SES) and the current anthropized landscapes. 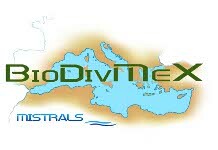 BioDivMex (BioDiversity of the Mediterranean eXperiment) aims to identify and monitor the specific biodiversity of the Mediterranean region, its vulnerability to climatic and anthropogenic pressures that have multiple and often negative impacts on specific habitats of the Mediterranean and finally the diversity of animals, plants and microbial biosystems. The Mediterranean region (sensus lato) is one of the 34 biodiversity hotspots identified worldwide, based on its diversity of plant and animal species, and the presence of a large number of inland and marine endemic species. Favorable biophysical and climatic conditions have encouraged human settlement in the Mediterranean coastal areas, and we see these days a large increase in population pressure and land use, as well as pressure-induced climate change. Biodiversity is not only threatened, but also declines at an alarming rate. In addition to human impacts such as habitat degradation and fragmentation, global warming is a recent and serious threat to the persistence of biodiversity.
. Bio and Agro-diversity of Past and Present Mediterranean Landscapes [PAST & PRESENT LANDSCAPES]. I am a member and coordinator of the Insularities working group (WG2) and therefore part of the BioDivMex steering committee. This article has been read 132 times. Dernière mise à jour de cette page le Tuesday 9 January 2018 à 15:18:22. //// -----> Citer cette page? Vincent Battesti, "BioDivMex" [en ligne], in vbat.org anthropoasis, page publiée le 25 December 2015 [visitée le 13 April 2019], disponible sur: http://vbat.org/spip.php?article738.